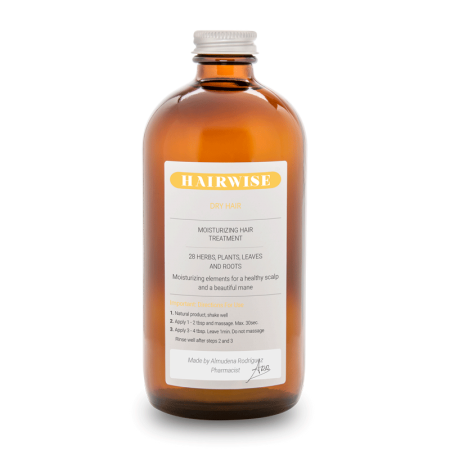 Dry Hair – Moisturizing Treatment | 490ml / 16.5 fl. oz. Supplies hair with the essential minerals when it needs it the most. Hydrating elements such as Aloe Vera help maintain the proper balance and health in your hair and scalp. • 100% organic, contains allantoin, vitamin A & vitamin E, for an effective moisturizing effect. Purified Water(Aqua), Panthenol(Provitamin B5), Aloe barbadensis(leaves), Triticum vulgare (wheat germ oil), Shea Butter(fruit), Guar Gum Hydoxypropil(derived from Guar plant), Decyl Glucoside(plant derived), Coco Betaine(coconut derived), Polyquaternium 7, Quaternium 80, Lecithin(derived from soybeans), Juniperus Communis(fruit), Pinus Montana(needle), Abies Alba(needle), Melaleuca Leucadendra (leaves), Melaleuca Viridiflora(leaves), Pimenta Acris(fruit), Salvia Officinalis(leaves), Coríandrum Sativum(fruit), Lavandula Latifolia(flower), Acorus Calamus(root), Carum Carvi(fruit), Anethum Graveolens(fruit), Lavandula Angustifolia(flower), Citrus Dulcis(orange peel), Citrus Medica Limonum(lemon peel), Myristica Fragrans(seed), Pinus Pinaster(leaves), Eucalyptus Globulus(leaves), Mentha Viridis(leaves), Thuja Occidentalis(leaves), Rosmarinus Officinalis(leaves), Origanum Majorana(leaves), Chamomilla Recutita(flower), Juníperus Virginiana(leaves), Tocopherol(vitamin E), Phenoxyethanol (preservative), Lemongrass (preservative from Cymbopogon Schoenanthus Extract), Honeysuckle (preservative from Lonicera Caprifolum). 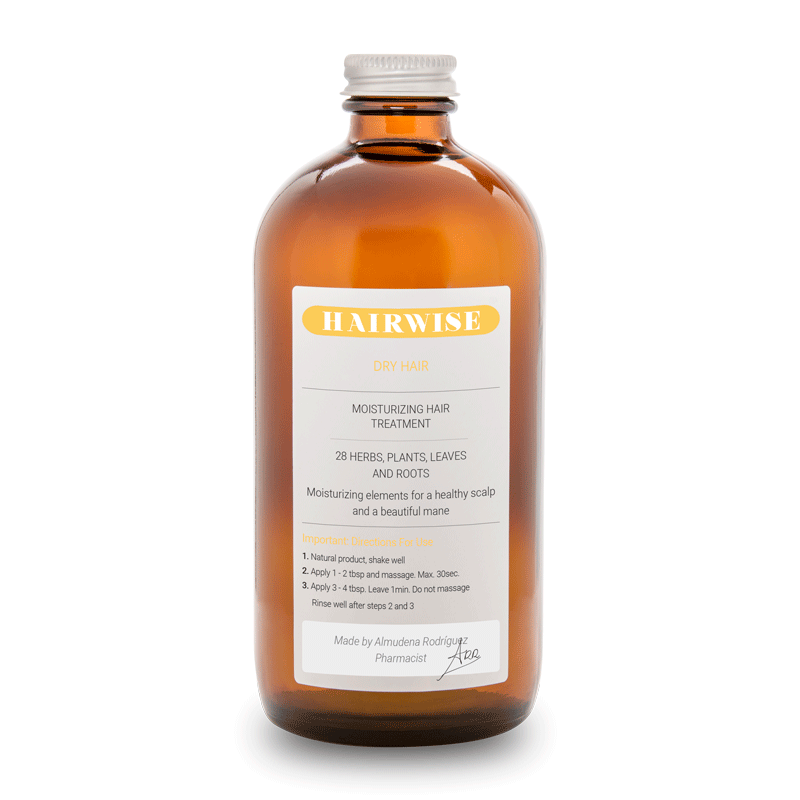 Oily & Dandruff Plus – Recurrent Flakes – Treatment | 490ml / 16.5... Dry Hair Plus – Nourishing Treatment | 490ml / 16.5 fl. oz.